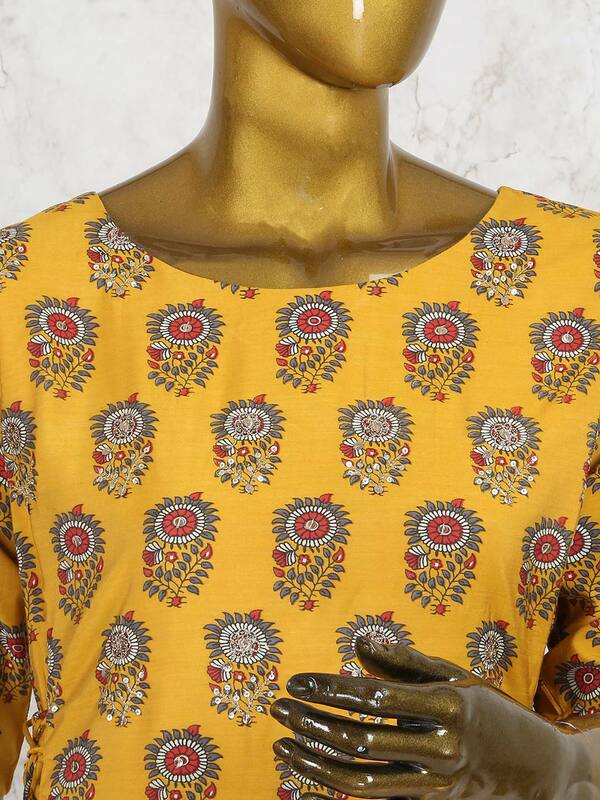 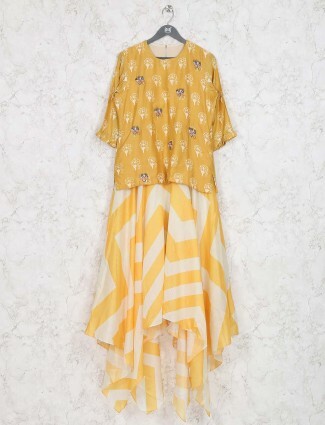 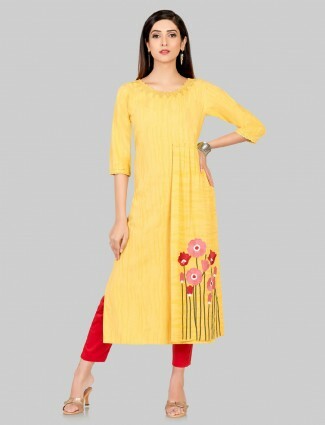 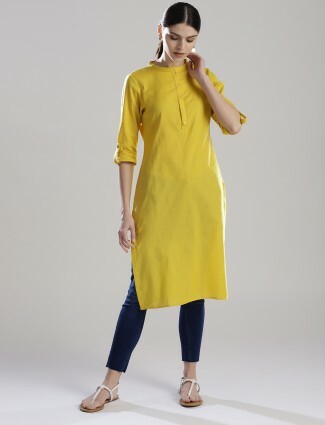 This lovely yellow colored printed cotton kurti is a great piece to wear in festive occasion. 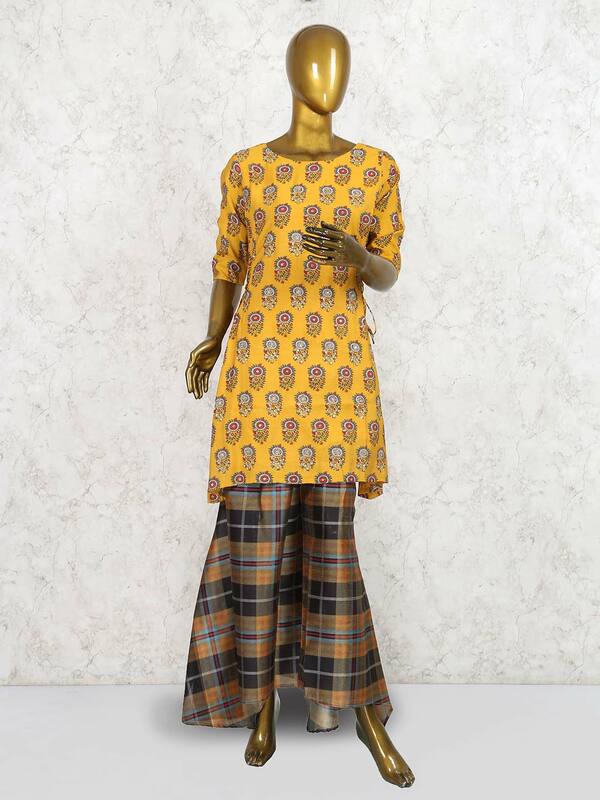 Beautify with zari and sequins work over it. 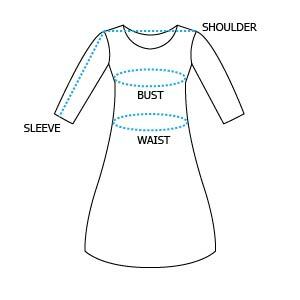 Featuring round neck and elbow sleeves design. 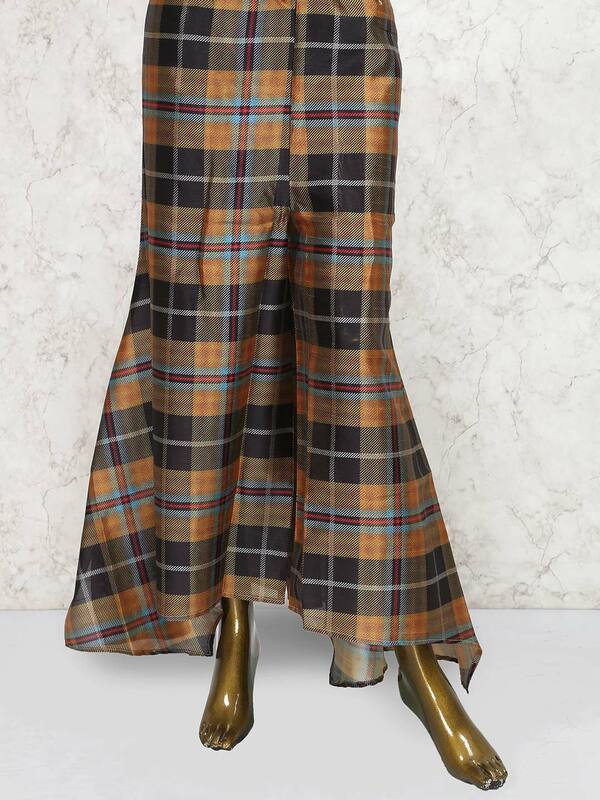 Comes with bottom.